It's nice to see them having fun and enjoying their time together. @Jina wrote: I'm loving the concerned BF But that was way too close in all seriousness. She looked concerned too right after. A little rusty perhaps, but shouldn’t it be a fence or net there? Passing the phone back and forth. 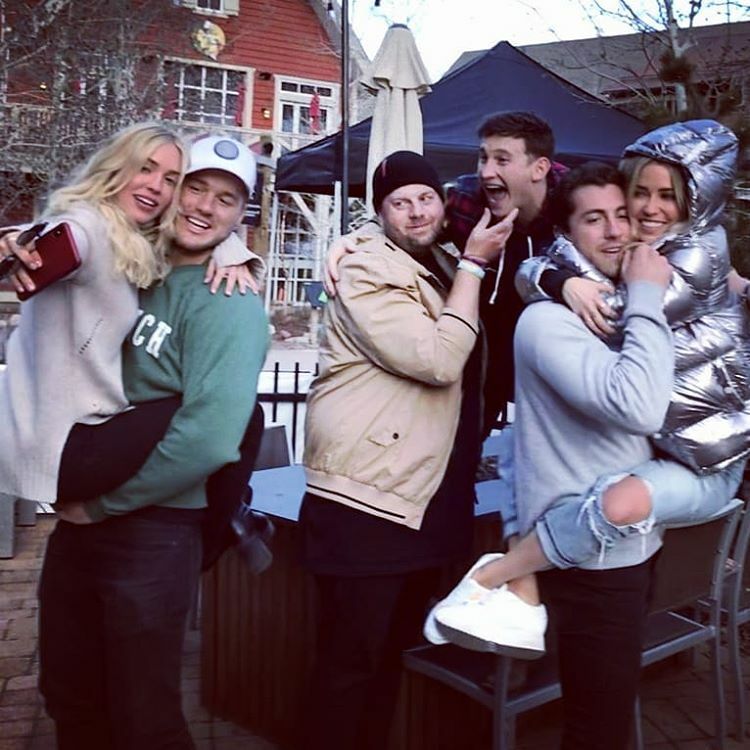 Looks like they had a blast and Cass is doing great like Colton said. Making new memories. 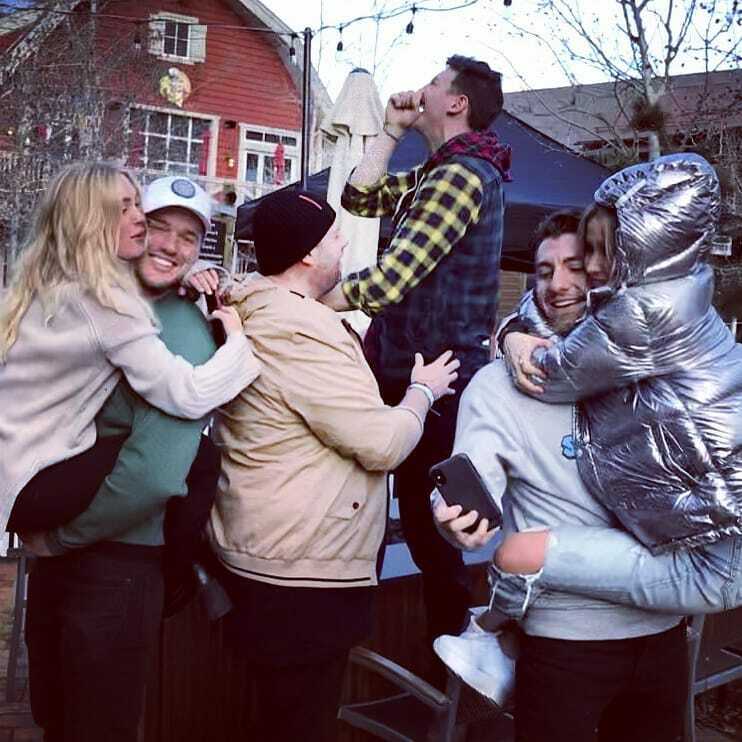 It's Thor turn this time to be part of the "Family picture"
@Bachhh022 wrote: I wonder if colton will bring Cassie despite her not officially being a part of this podcast? I mean they’re all in aspen anyways so unless she’s hanging out with his mom or something it’s a Saturday night so I could definitely see her tagging along! I think so too. Probably watching & sitting in the 1st row. It’s great to see Cassie with Donna. They seem to have come a very long way since that first dreadful meeting. I’m sure they have been facetiming a lot, but this weekend might actually be the first time they meet face to face since then. @blueblues wrote: It’s great to see Cassie with Donna. They seem to have come a very long way since that first dreadful meeting. I agree. 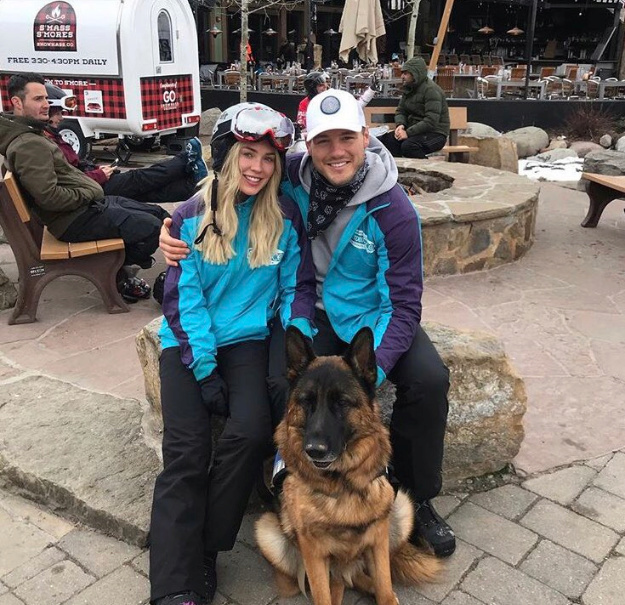 Colton mentioned in an interview just a few weeks ago that his mom was still skeptical of the show but she was coming around seeing how happy he is....hopefully this weekend and being around Cassie and Cassie/Colton together has eased some of that. I do think she has liked Cassie for awhile now (and even liked a few posts defending her), but i wouldnt blame her if she just wanted to make sure her son's heart was safe with Cassie...any good mom would! Actually, in that interview a few seconds before, Colton said that his parents didn't have any doubts of his relationship between him and cassie and that they were all on board. He then goes on to say that his mom, Donna, was skeptical about the show but was coming around to it. It seemed that his mom was/is skeptical towards production/the authenticity of the show, especially with colton being portrayed as a bad person in BIP and how they kind of betrayed him by bringing Cassie's dad to portugal for drama. Colton has always stood by his support for the show, but it seems that his mom is more so skeptical, and rightly so! He did make it clear though that both his parents were supportive and on board with him and cassie, and they didn't have any objections. Awww, it's nice to see cassie interact with Blake and Jaitlyn (per kaitlyn's ig story)...! OMG guys!!! There's so many adorable pictures and videos. It's heartwarming waking up to all this cute funny and precious moments. I was waiting for a long time for Cass to meet Jason and Blake. I was sure she will fit in easily.